Pastors should always allow the Holy Spirit to move in their churches. Even though there are countless churches that boast a statement of faith or creed claiming they believe in the continuation of the gifts of the Spirit, the truth is that many of these same churches deny the gifts’ operation in their meetings and services. The Holy Spirit is embraced in their word and doctrine but rejected in demonstration. How is it possible that churches that theologically acknowledge the modern activity of the Holy Spirit’s gifts can reject their demonstration? 1. The gifts have been mystified and distanced from everyday people. As a result, Steven Brooks, in his new book, How to Operate in the Gifts of the Spirit, is on a mission to demystify the supernatural and show believers how accessible and normal God’s power should be in their everyday lives. In some circles, the gifts have been presented as available to the “super-spiritual” and charismatic elite. In turn, everyday believers feel like they are unable to attain this high level of spirituality and do not pursue the gifts or desire to see them operate. If we mystify the gifts, we make them inaccessible. When they are presented as inaccessible, they become easy to avoid. 2. The gifts have been confused. In the age of seeker-sensitive churches and political correctness, it is typical for many believers to lump every type of God-given gift into one big pot and paste on the title “spiritual gifts.” (Often, the more unusual and supernatural gifts are never even mentioned.) Denominations that historically have been embraced a Pentecostal approach to Christianity claim to believe in spiritual gifts and recognize that all believers have received such gifts at salvation. Sadly, through confusion, people believe they are operating in the gifts when, in fact, they are settling for something that is not what the Bible defines as a manifestation gift of the Holy Spirit. God knit us together with unique gifts and talents, absolutely. These should be celebrated as God-birthed, God-originated and God-given. However, there is a distinct difference between a gift of teaching, encouragement, leadership or singing, and the nine manifestation gifts of the Holy Spirit as defined in 1 Corinthians 12 and 14. This does not mean there are levels of spirituality, making people who do not operate in the nine manifestation gifts “less than.” It simply means that we need more clarity on what these gifts actually are. If we do not know what something is, it is impossible for us to operate it correctly, let alone desire its demonstration in our lives. 3. Finally, the gifts have been rejected. This has been one of the major points of contention in the Strange Fire debate. However, Brooks’ book is not written to convince you that the Holy Spirit is still at work in the world; he takes it to the next level. Assuming that the Spirit of God has not changed and that He is still moving, Brooks provides us a Bible-based handbook for what each of the nine gifts of the Holy Spirit is, describes its purpose, and gives readers an understanding of how we in the 21st century can flow in these gifts—and it does not have to be mystical, weird or spooky. In fact, it can happen throughout the course of your everyday routine. You may be at work, in the grocery store, getting a haircut or on an airplane—no matter where you are, God wants to use you as His Spirit-empowered ambassador. In the initial chapters, Brooks shows you why a relationship with the Holy Spirit is so important. He is God on the earth. The Father is in heaven, and Jesus is seated at His right hand. By implication, since the Holy Spirit is the Person of the Trinity sent into the earth, it is absolutely essential that all believers learn how to communicate with Him correctly. Operating in the nine gifts is one important aspect relating with the Holy Spirit. By the way, the nine gifts of the Spirit are the nine keys to experiencing God’s supernatural power in everyday life. Brooks reminds us that everything we need to know about walking in God’s power is already clearly revealed in Scripture. Why is this book so important? There is a world out there absolutely desperate for the real thing. If we, the church of Jesus Christ, remain silent and timid about the Holy Spirit, we deny the humanity the very One who fills its interior. Remember, it is the Holy Spirit who removes the blinders and scales off of our eyes, illuminates the gospel message to our spirits and fills us with the presence of God. If we deny the operation of the Spirit’s gifts, we not only rob unbelievers of a potential life-changing encounter with God, but we deprive Christians of their inheritance in Christ. Even though the gifts of the Holy Spirit are not a doctrine leading to salvation, they are no mere side issue in matters of everyday Christian life. Consider their true relevance for a moment. It should be in the safe, instructional context of the church that the gifts of the Spirit are practiced and cultivated, so that as God’s representatives we can effectively operate in them outside of the four walls of the church. If we (particularly leaders and pastors) remain silent about the supernatural, there are several voices outside of the faith who are unashamedly vocal about it. These counterfeit supernatural expressions are looking for inroads into the next generation. If we do not practically train the 21st-century church how to operate in the gifts of the Holy Spirit, we can be rest assured that the generation denied of authentic power will seek it out elsewhere. 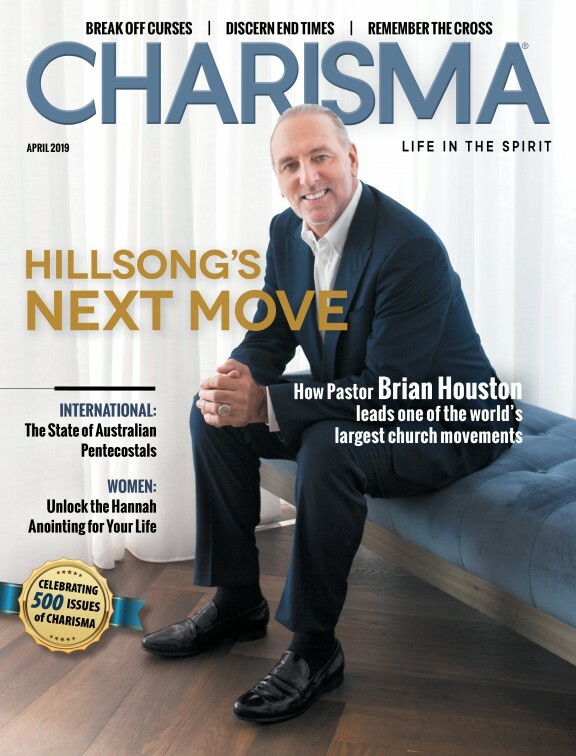 This is what gives Brooks’ statement concerning the Holy Spirit’s importance so much substance: “I think one of the saddest things in the world is for a pastor to not allow the Holy Spirit to move as He desires in the church.” Brooks discusses this concept in greater depth during his Voice of Destiny interview. How to Operate in the Gifts of the Spirit is an ideal book for believers who desire more than their Christian experience and leaders who want to help people operate in the gifts of the Spirit. Brooks has written a user-friendly, easy-to-read guidebook. Built upon solid, scriptural insight and filled with practical examples, powerful testimonies and personal experience, this book will prove instrumental in taking you to the next level in your walk with the Holy Spirit. Larry Sparks is host of Life Supernatural, a weekly radio program that features best-selling authors, emerging filmmakers and key ministry leaders. In addition to serving as the director of curriculum resources for Destiny Image Publishers, Larry is president and founder of Equip Culture Ministries—an organization that equips believers to experience a life of sustained victory through the supernatural power of the Holy Spirit. Visit him at lawrencesparks.com or on Twitter at @LarryVSparks.